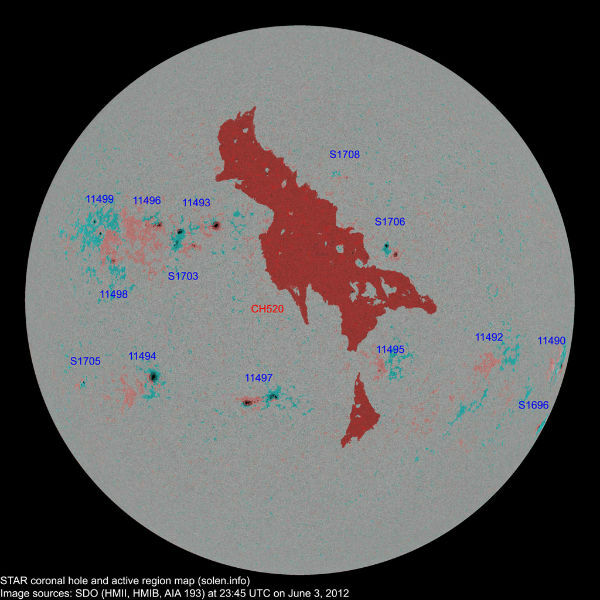 New sunspot 1496 unleashed an impulsive M3-Class solar flare on June 3rd at 17:55 UTC. The explosion hurled a coronal mass ejection (CME) into space. The cloud does not appear to be heading for Earth, although this conclusion could be revised by further analysis. A powerful solar tsunami was produced at the blast site as well. Fortunately, amateur astronomer Thomas Ashcraft was monitoring the Sun from New Mexico when the flare occurred and he video-recorded the event. 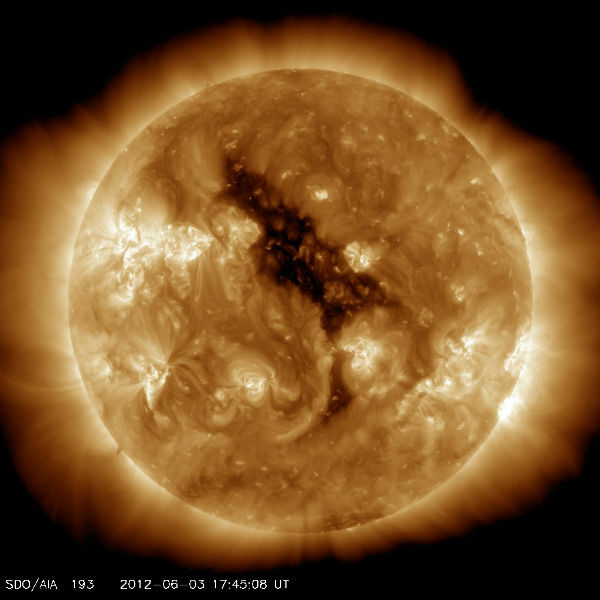 Solar tsunamis pose no direct threat to Earth. They were discovered back in 1997 by the Solar and Heliospheric Observatory (SOHO). In May of that year, a CME came blasting up from an active region on the sun’s surface, and SOHO recorded a tsunami rippling away from the blast site. 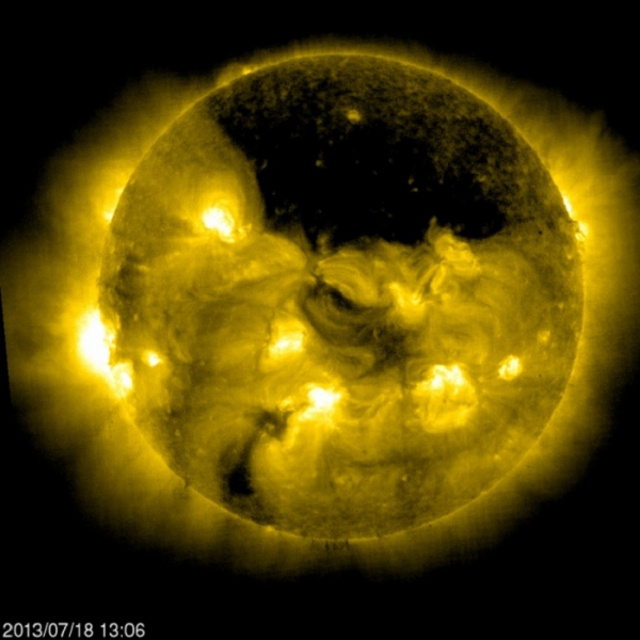 Meanwhile, a big dark hole in the sun’s atmosphere, a ‘coronal hole’, is turning toward Earth spewing solar wind. Last night we experienced minor geomagnetic storming. 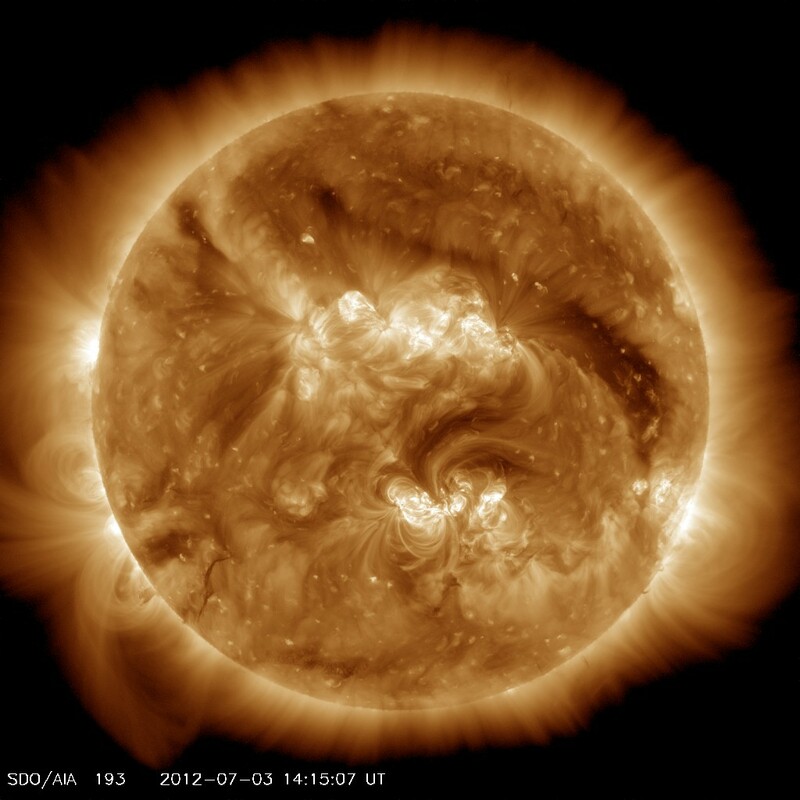 Coronal holes are places where the sun’s magnetic field opens up and allows the solar wind to escape. 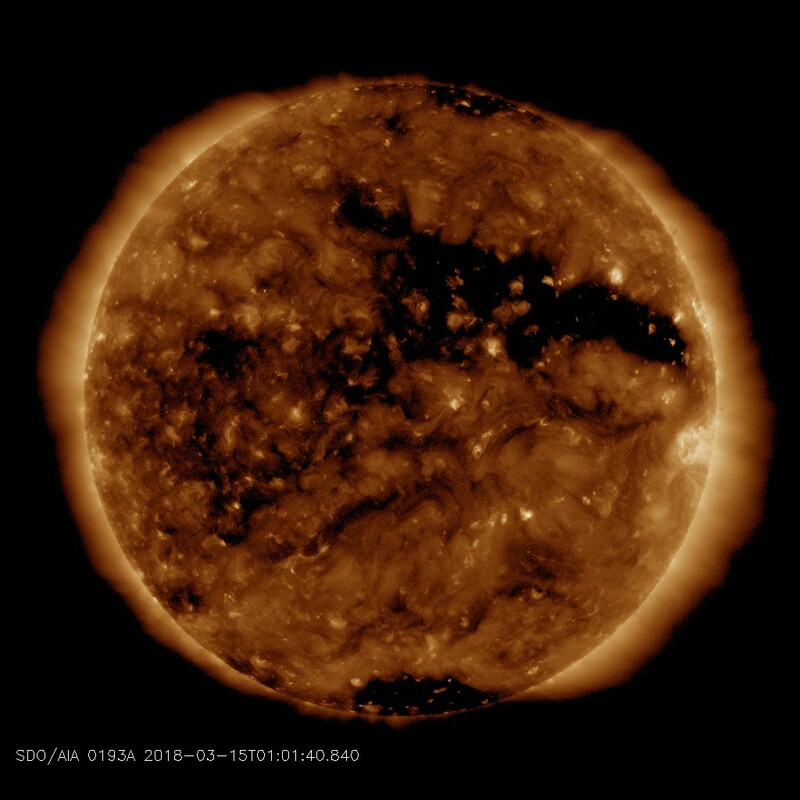 The stream of solar wind flowing from this coronal hole will reach Earth on June 5th – 7th, possibly stirring geomagnetic storms again. High-latitude sky watchers should be alert for auroras.